The Animal Welfare Institute (AWI) is alarmed that the federal government has proposed allowing the Makah tribe of Washington to kill gray whales again. Yesterday, the National Oceanic and Atmospheric Administration (NOAA) announced that it would seek a waiver of the Marine Mammal Protection Act on behalf of the tribe. The decision does not authorize the Makah tribe to begin whaling, but it takes a significant step in that direction. While AWI has great respect for the Makah tribe, its people and their culture, the tribe has not shown a continual traditional dependence on whaling and the use of whales. This criteria is used by the International Whaling Commission (IWC) to determine if a country qualifies for an exemption from its longstanding ban on commercial whaling to allow its indigenous peoples to hunt whales for subsistence purposes. With the exception of a single gray whale killed in 1999 and another killed illegally in 2007, the tribe has not engaged in whaling since the mid-1920s. Therefore, it has not satisfied the IWC’s criteria and the US government should never have been granted an Aboriginal Subsistence Whaling quota for gray whales by the IWC—most recently in 2018. Furthermore, the US government has not yet fulfilled its domestic legal obligations to authorize a tribal hunt, because its current Environmental Impact Statement is both inadequate and incomplete. For example, the National Marine Fisheries Service failed to adequately consider the adverse impact of Makah whaling on public safety, to tourists visiting national parks and other federal lands in the area, and to whale watching operations. The agency also didn’t seriously consider the welfare implications of the hunt. 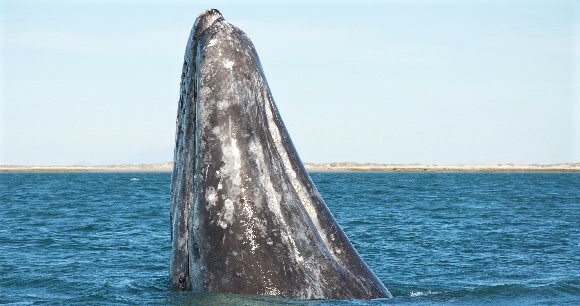 AWI is concerned that this inhumane hunt could result in the killing of one or more members of a unique and imperiled group of approximately 200 “resident” gray whales who remain off the coasts of Northern California, Oregon and Washington during the summer months instead of migrating to the Arctic. This hunt also could impact an even smaller population of critically endangered Western North Pacific gray whales, who are known to migrate down the West Coast of the United States. AWI asserts that the Makah tribe, which has killed only two whales in 90 years, has no nutritional or subsistence need to resume whaling. Instead, the Makah could attract and educate visitors to the reservation by promoting the non-lethal use of whales by providing whale watching opportunities, along with teaching visitors about whales, other marine wildlife, the need to protect marine ecosystems, and Makah history and culture. “The US government should not permit the Makah tribe to kill gray whales because it is in violation of federal law, inconsistent with an international treaty, is inherently cruel, and could jeopardize small populations of resident and Western North Pacific gray whales,” said DJ Schubert, a wildlife biologist at AWI in a statement. “While we have great respect for the Makah tribe and its people, we encourage the tribe to consider non-lethal uses of gray whales—particularly whale watching—to generate revenue and educate visitors about the tribe’s history and culture,” Schubert added.